It was with trepidation that I sounded out a few friends about the possibility of setting up a Book Group in the village and was rather overwhelmed with the interest and enthusiasm that the idea was met. Of course, this might be something to do with my friends preconceived ideas that it was an excuse for a night out and wine but it was still a pleasant surprise. The logistics however were slightly more complicated: how often would we meet, what day/time worked best for everyone (many have partners who work away meaning childcare was always going to be an issue), how would we select titles, where would meet – the list goes on. 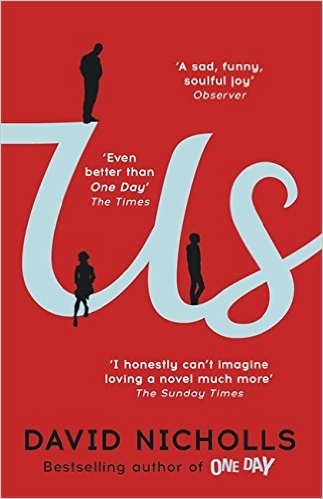 A book was chosen for our first read: ‘Us’ by David Nicolls in the hope it would ease us in gentle and most present had enjoyed ‘One Day’. I was delighted to realise that much of the story is told whilst Douglas, Connie and their 17 year old son, Albie, travel round Europe on their own modern day Grand Tour. Their visits to museums and galleries struck a particular cord with me as I studied Art History at University and had visited many of the same places and many of the paintings described in detail were familiar to me. A most enjoyable read to get the Group start.